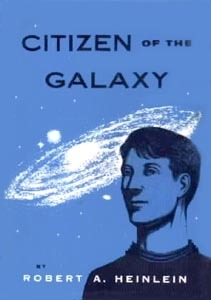 In fact, a majority of the many novels she analyzes vilify the over-polluted, over-complicated, and over-indulgent present while glorifying the past and the pastoral, a kind of mythical pre-industrial, pre-commercial, subsistence existence-in short, the kind of dark ages that Poul Anderson’s teen hero Carl brought to a welcome end in Vault of the Ages. Isn’t that pretty much was Tolkien did with Lord of the Rings? The idyllic, premodern Hobbit shire versus the industrialized malevolence of Mordor? “Literary Luddism” certainly goes back farther than just this generation of YA lit. Yes, Tolkien was a bit of a Luddite — I always assume Mordor was inspired by the industrial Ruhr with its steel mills and manufacture of weapons. A longing for a “little England” inspired the Shire and its virtues. And so on. I don’t have any problem with dystopias (as long as the characters in them act realistically) — the problem is the filtering going on, with publishers apparently blocking stories that are more positive or “uplifting” (a term which is now politically incorrect itself.) Good stories are good stories; we’re seeing some terrible crap published that barely has an audience despite approval by the people now running publishing houses, reviewers, and children’s librarians. Kids want inspiring stories with characters that can accomplish something — which is why “Hunger Games” was so successful. Tolkien told a great story — his nostalgia was just a backdrop. In a free society where the all Mighty Dollar is Everything. One (especially a majority like females) really have no one to blame but themselves for any inequality. If 1 in every 4 girls decided they were going to be Science Fiction Fans and buy SF novels. Then in a few years over 75% of the field would consist of females writing for females. Sadly they would not see any problem with this(as I do not) but the sad part is that they do see a problem in it when it’s not in their favor. People are Hypocrites and self serving. Some how that continuously flies over peoples heads.